There were some interesting features announced as part of the launch of Google's Pixel phones. While some are exclusives to the new handsets, others are a part of the new Android 7.1 Nougat. 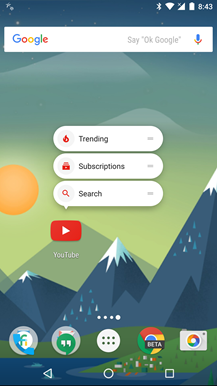 One of the headlining features for the new OS version is the App Shortcuts API, a way for apps to offer fast access to select screens and functions. 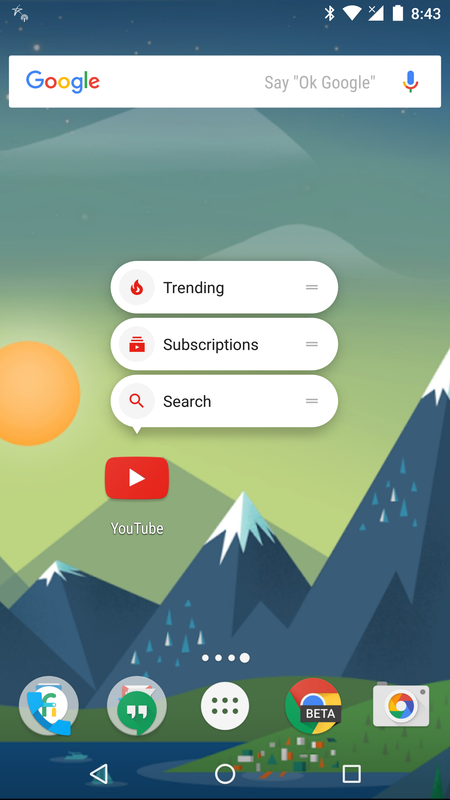 If you've been looking forward to trying it out, the Google Now Launcher in combination with today's developer preview fully supports app shortcuts and there's already plenty of examples to try out. 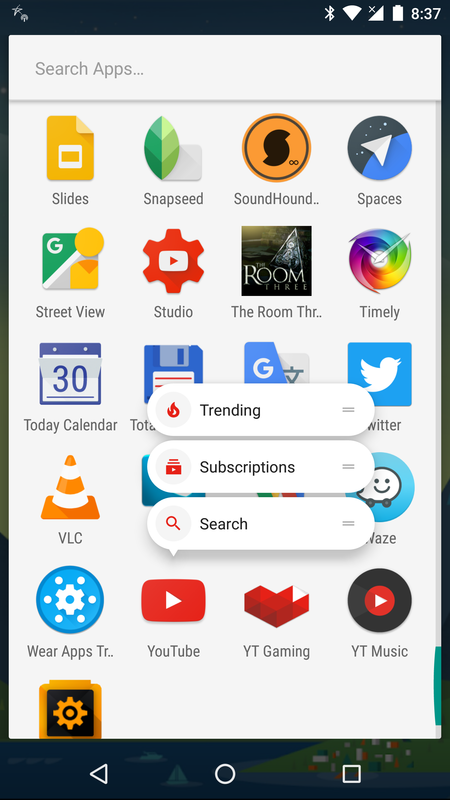 We've known for a while that App Shortcuts would be making a return in Android 7.1. Originally introduced as the Launcher Shortcuts API in the second N Developer Preview, it was pulled a month later for nonspecific reasons and with a promise it would return in the future. 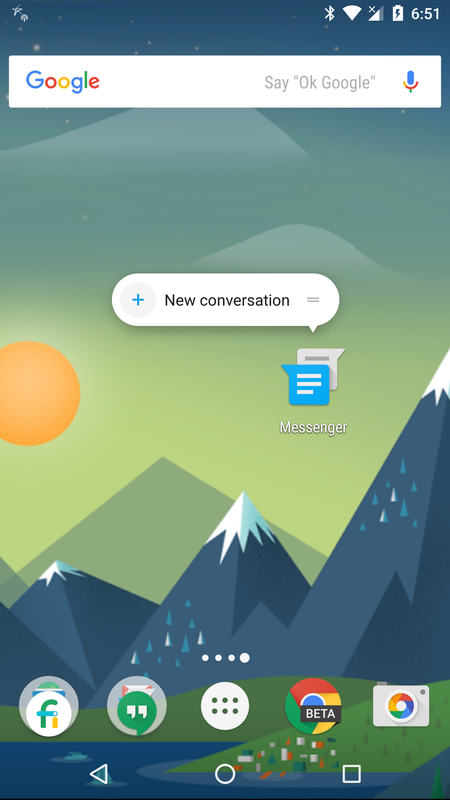 The Pixel announcement and subsequent news from Google mentioned the API, now renamed App Shortcuts, but gave no confirmation whether it would be supported right away in the non-exclusive Google Now Launcher. The developer previews finally give us that confirmation. This is definitely important because it gives developers an opportunity to begin building and testing shortcuts in their own apps without necessarily purchasing Pixel phones. To activate the menu of shortcuts, long-press on an app icon for about a second as if you wanted to move it. The menu will appear along with a quick vibration. If you release the press, the menu will remain; drag in any direction and the menu disappears and the icon moves with the drag. This works with icons anywhere in the launcher, including icons sitting out in the open, in folders, or even right from the app drawer. You can tap any item in the menu to navigate to the screen or activate the described function, or long-press on the shortcut and it can be dragged around in the launcher to make it even more convenient – perfect for quickly starting some music, opening navigation mode in Maps, or composing a new message. 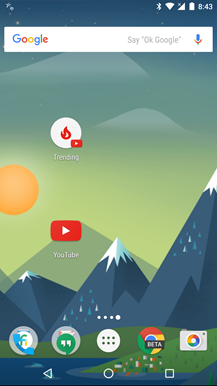 Keep an eye out for apps that support dynamic shortcuts. These are shortcuts based on the way you're already using the app. For example, Google Messenger (shown above) creates new shortcuts with the names of the last few people you've sent messages to. 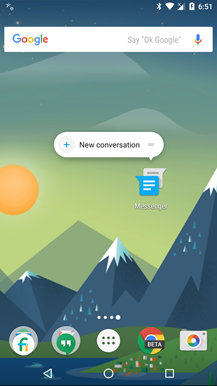 Just like regular shortcuts, these can be dragged out to create permanent shortcuts in the launcher for 1-tap access. 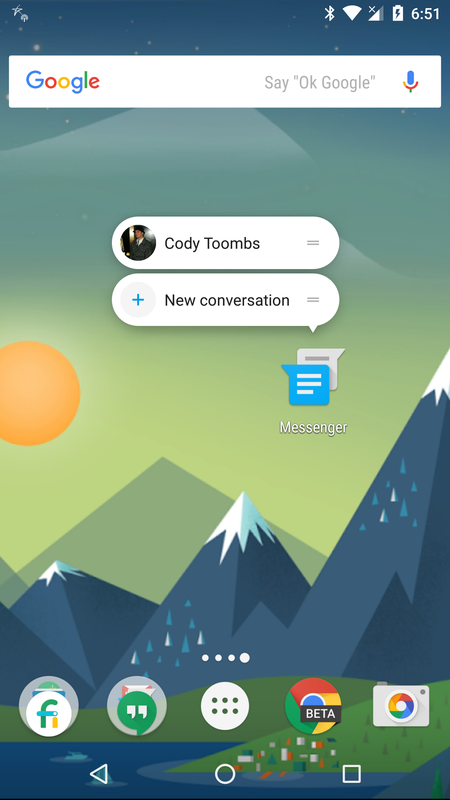 At this time, there are about 20 apps offering shortcuts – all from Google, of course. It's worth poking around to find some of the more useful options. The SDK for API 25 also became available today for developers and apps based on it are already welcome into the Play Store, so there will be plenty of new apps offering shortcuts within a matter of days. The Google Now Launcher (and Pixel Launcher) will only support app shortcuts on Android 7.1 and above. If you have a Nexus 5X, Nexus 6P, or Pixel C, check out Developer Preview 1.